TROUTMAN, NC (August 12th, 2015, 2015) It was an absolute incredible weekend for Nicholas d’Orlando as he dominated the entire Mini MAX field to capture the 2015 US Grand National Championship title in Kershaw, SC. He did it in typical Nicholas d’Orlando fashion, fast and furious, as he was the head of the class all weekend long. Nicholas started the weekend off by taking the pole in qualifying on Saturday as he put his No.115 KoeneUSA Tony/Kart on the front row, where he would start all of the heat races. He remained perfect for the entire day as he lead all laps, claimed fastest lap honors and all three victories in the Heat races, setting him up for a pole position start for Sunday’s pre-final. Nicholas headed into Sunday focused and ready. He was far from done with impressive performances as he took the lead in the pre-final in turn one and never looked back. Although the competition was getting closer, he was only one step away from the US Grand National Championship title. In the Final feature race, Nicholas would yet again start from the pole and maintain his position upfront. He would check-out from the rest of the field from the green flag. It was a catch-Nicholas-if-you-can type of race. 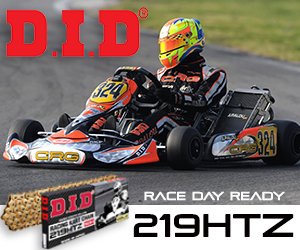 He put on a show with an impressive performance of determination and consistency that kept him up front the entire race as he brought his No.115 KoeneUSA Tony/Kart to the checkered flag for the win by a margin of over 4 seconds, and the 2015 US Grand National Mini MAX Championship title. DRC would also like to send thanks to MaxSpeed Entertainment for organizing and running the US Rotax Max Challenge Grand Nationals as well as all the sponsors that make the event possible. Additionally, DRC gives special thanks for the support of their sponsors at adidas Motorsport (www.adidasmotorsport.com), Kool Nerd Clothing (www.koolnerdclothing.com), Focused Project Management (www.focusedpm.net) and Iona Preparatory School (www.ionaprep.org). 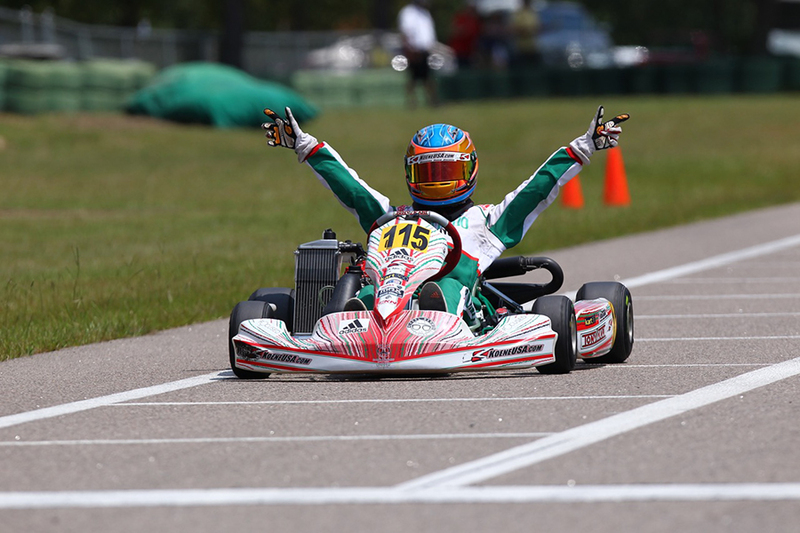 Nicholas will take a short break from the U.S. karting scene to prepare and return to Iona Preparatory School in early September. His next U.S. race will be for round 3 of the Rotax US Open in Las Vegas, NV at the end of October. In the meantime, he will be making his European racing debut in two weeks time, where he will compete in the Formula Kart Stars series, a British based Karting Championship supported by Bernie Ecclestone, Formula One Management, and F1 World Champion Lewis Hamilton. For more information on Nicholas d’Orlando, please visit www.dorlandoracing.com. Be sure to follow Nicholas on Facebook (Nicholas d’Orlando Racing), Twitter (@dorlandoracing) and Instagram (@dorlandoracing) to stay up to date on news, information, photos and results. Go to www.dorlandoracingstore.com.